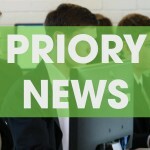 Priory Integrated College | New Build Back on Track! New Build Back on Track! 01 May New Build Back on Track! 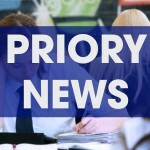 The Board of Governors are delighted to announce that the proposed new school build for Priory is at last back on track. Governors and the Principal met with senior personnel from the Department of Education and the Education Authority this week to agree the next stage of planning for the new school, which has been so long awaited by all of the school and the wider community. At the meeting this week, it was confirmed that the proposal can now move forward to the next stage and that the necessary funding has become available through the Stormont Agreement ‘Fresh Start’ programme, which pledges to support shared and integrated education in Northern Ireland. 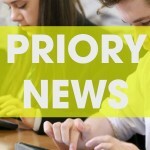 This is fantastic news for everyone in Priory and for the wider community. There is a long journey ahead which will take time and patience, but we are on our way and we will keep you all updated on progress over the coming months.